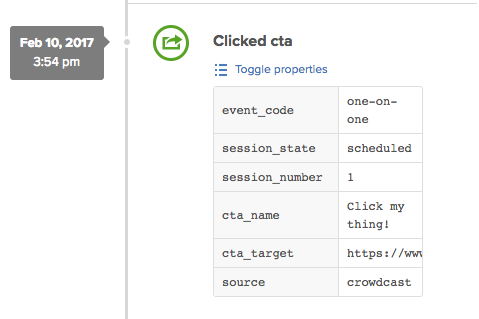 Automate your workflows and emails by connecting your Crowdcast events to Drip. 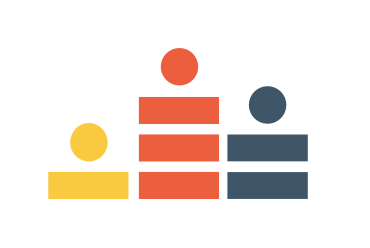 If you're a Drip user, you can directly integrate Crowdcast with your Drip account to send automated emails and campaigns to your audience based on actions they take in your events. To connect Crowdcast to Drip, first make sure you're logged in to your Drip account. Then go to the integrations tab in Settings in your Crowdcast account and click "Connect." Once connected, Crowdcast will automatically begin sending the following actions to your Drip account. All of these actions will be sent as “events” to your Drip account along with the participant's email address. If the participant is already a subscriber on your Drip account then these events will simply update the existing subscriber activity. If the participant does not already exist as a subscriber in your Drip account, then a new subscriber record will be created when the first event is sent. This lets you create workflows in Drip to send emails, campaigns, and more for powerfully automated email marketing. Define your trigger, or the action that triggers the rest of the automated workflow. Name the trigger and add a filter as needed. Choose an action. Based on the trigger you may choose to apply a tag, send a one-off email or campaign, move the subscriber between campaigns, and more. For example, let's say you want to send participants of an event one version of an email if they attended live and a different version if they registered but didn't attend live. Here's how you can set that up in Drip. 1. First, create a new workflow in Automation. 2. Next, click on Define your trigger and select Crowdcast as your trigger source. Define your trigger as Registered for event and enter your event code. 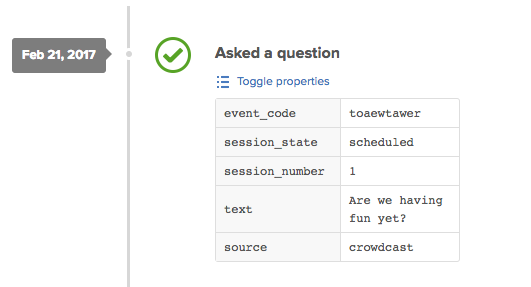 Note: Your event code is the part of your event URL that comes after http://crowdcast.io/e/ For example, the event code for http://crowdcast.io/e/talks-heather is talks-heather. Defining your trigger as "Registered for event"
3. Then, add a "fork." This lets you follow up in one way if a subscriber took one action and in a different way if they took the other path. 4. Add the "+" sign on one side to add a goal. 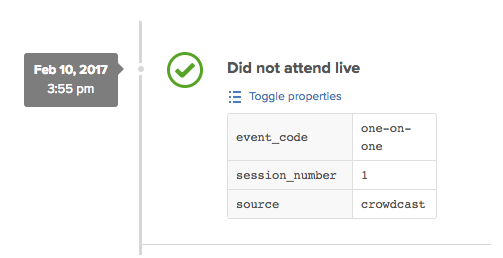 Set the goal to "Attended live" and specify your event code. 5. Do the same for the other side of the fork by adding a goal. This time, set the goal to "Did not attend live." Specify your event code. 6. Add a delay for each goal so your follow-up emails are sent at a strategic time of your choice. 7. Choose an action for each goal. In this case, we want to send follow-up emails that are different depending on whether someone attended live or missed the live event. This means we will add "Send a one-off email" as the action for each goal. If you click "Edit email settings" under "Send an one-off email" you will be able to specify which email you want to send in each case. Now you're ready! This workflow automates your email marketing based on whether someone attended your event live or not so you can use Crowdcast events to send powerfully targeted emails to your audience. For more information on various workflows you can create in Drip, check out their website here.